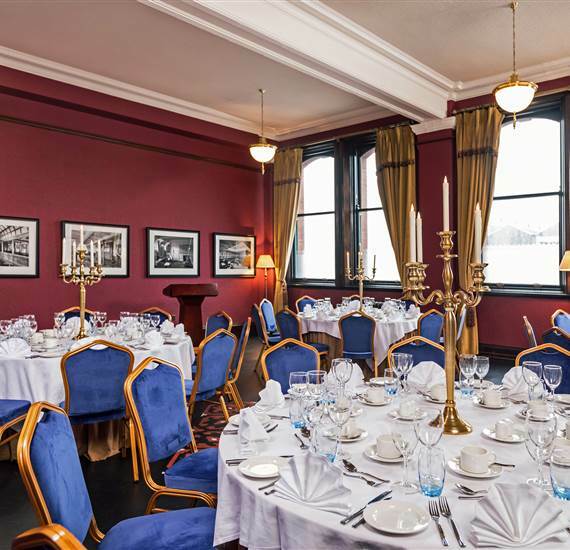 We offer seven heritage rooms for meetings, weddings and events in Belfast. Drawing Office One can accommodate up to 300 guests in a breathtaking, cathedral-like space where many of the world's greatest ocean liners were designed - a unique historic venue; perfect for weddings and conferences. An adjoining bar & reception area is ideal for pre-function drinks and arrivals. 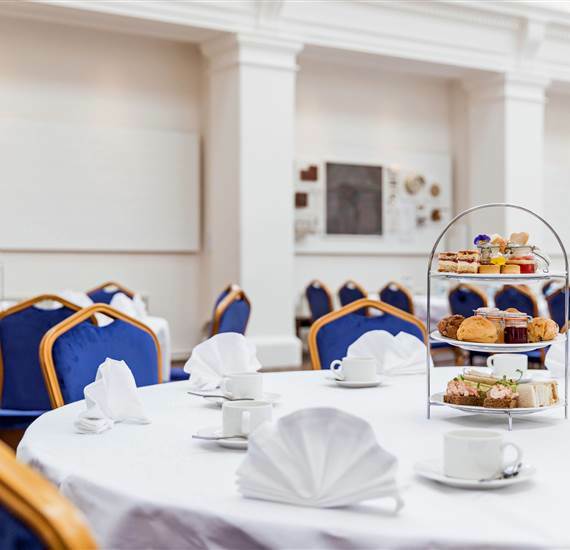 Smaller events and meetings can be catered for in the one of the original offices of the designers and managers who spent their working lives here. Wedding packages and brochures can be viewed here. 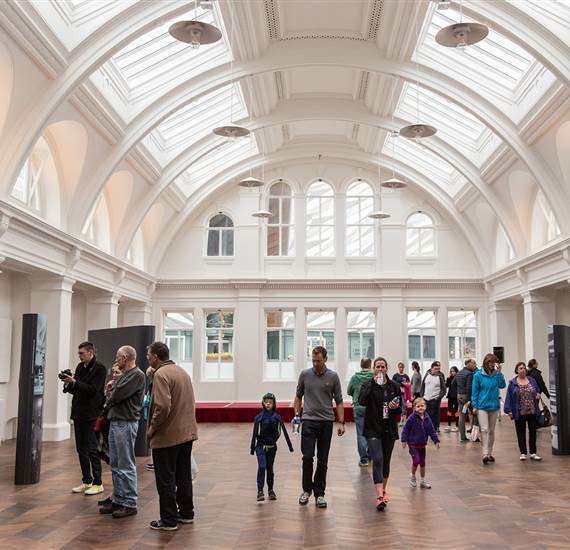 View all the Harland & Wolff heritage rooms below. 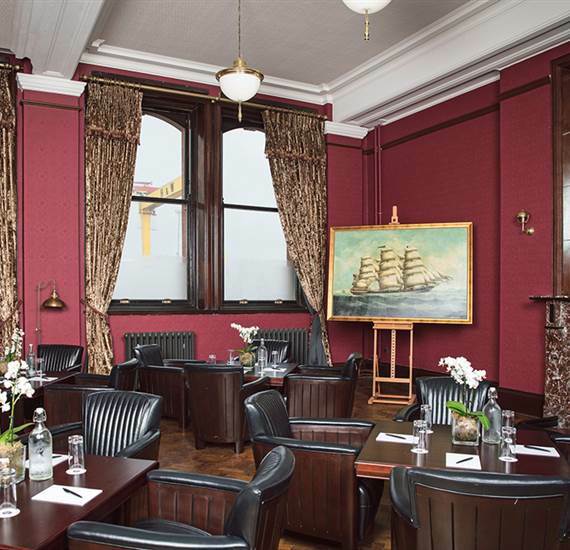 Host your next event in Thomas Andrews' original private office, restored to its former state. A special room for up to 10 people. 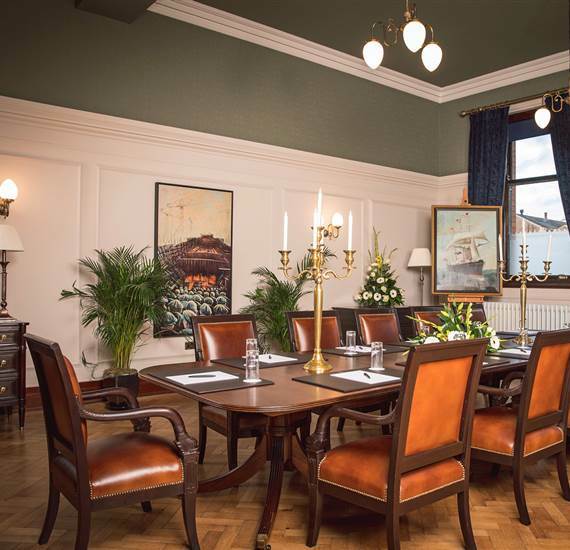 Lord Pirrie's Office can accommodate up to 16 people, the ideal size for board meetings, small gatherings and private dining. One of the smaller heritage rooms, Mr. Payne's Office can accommodate up to 8 people in Victorian splendour. 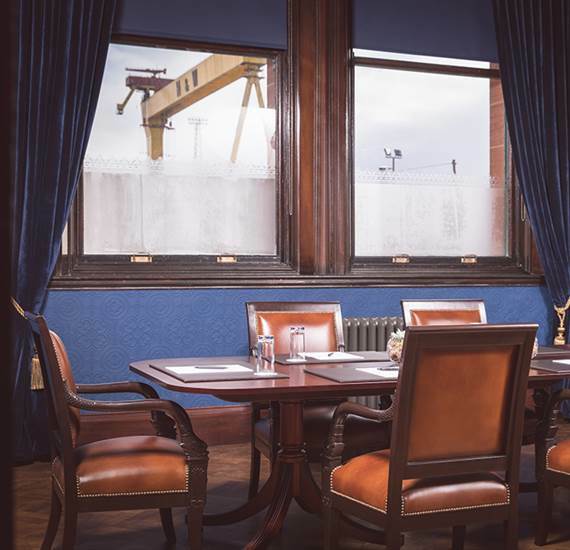 Reflecting the size and scale of Harland & Wolff, the Chairman’s Office can accommodate up to 50 people in comfort. 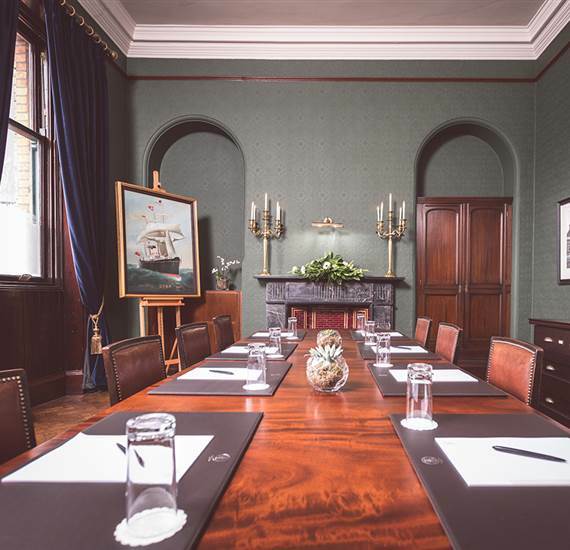 Large in size, the Boardroom is ideal for larger meetings, conferences, small weddings and parties. 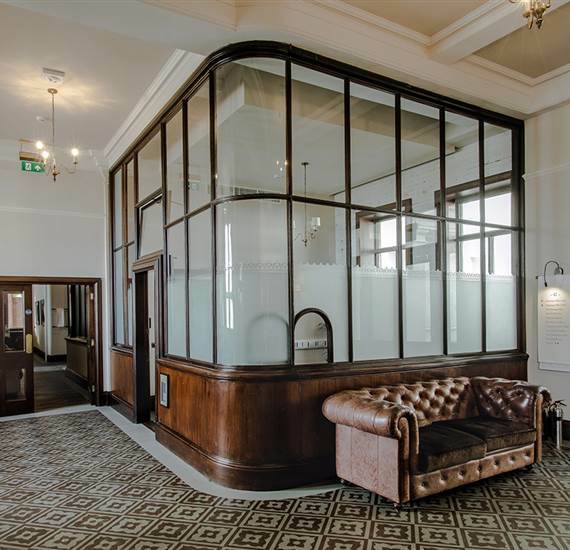 The Telephone Exchange is a compact and comfortable meeting space for up to six people. Plan the event of your lifetime in a truly unique heritage building. The perfect backdrop to your special day. Size: up to 310 sq.m.